Maria Claudia has worked in the Information Technology sector for the last 10 years at different multinational companies where she's had strategic roles defining and planning programs to ensure the profitability of their channel and distribution partners. Starting at Microsoft Colombia, Maria Claudia worked for four years with local and multinational assemblers, developing initiatives to market PCs and Servers integrating Microsoft Solutions to end users and the corporate segment. She also identified areas of opportunity and developed alliances between channels and manufacturers. Later at Dell Colombia, during four years within the Alliances team, she was responsible for developing strategies focused on Microsoft's OEM and Enterprise Solutions business for South America, Central America and the Caribbean. 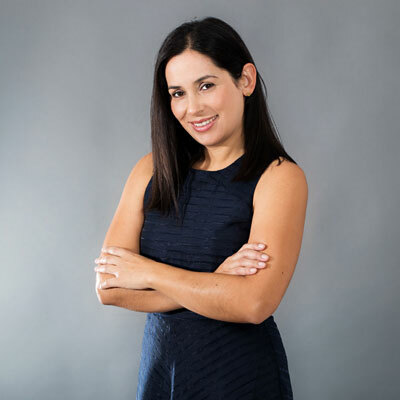 Continuing her leadership in the IT Sector, Maria Claudia joined Symantec, initially managing the distribution channel for Central America and the Caribbean and later for all of Latin America, demonstrating her knowledge in business development, marketing and account management. During her first year at Sophos, Maria Claudia has led key projects focused on defining and executing Sophos' growth strategy in the region. She is responsible for organizing distributors, developing the channel ecosystem, and defining processes and programs for the development of Sophos' LATAM channel business. This past year, Maria Claudia has had a couple of different roles with the channel, as Sophos started re-organizing and creating a new strategy for go-to-market in Latin America. In this time, Maria Claudia worked closely with Sophos' local sales team and her global counterparts to create a new Partner Program tailored specially for the region. This new program launched in August 2016. Maria Claudia has also managed the regional process to incorporate two major distributors in LATAM and consolidated the ecosystem of partners and distributors that the company had originally. She supported the launch of the MSP program in LATAM working closely with the team to localize this program. Every day, she works with Sophos' salesforce and channel partners to enhance their selling experiences with the company. Maria Claudia's focus for this coming year is to expand and create more awareness of Sophos' brand in the region and increase our share of market in the security sector. One of her major goals is to increase the loyalty programs in LATAM among channel partners. Maria sees this happening as a result of her team's drive and innovation, simplicity and by integrating support and marketing with Sophos' distributor alliances. Maria's team is always looking at ways to improve the channel programs to provide the tools and support partners need to be successful in the market and increase their revenue. Isabel Allende is a woman Maria Claudia has grown to admire through her writing. She is a Chilean author who writes true stories through fiction, showcasing the hardships one encounters in real life. Maria Claudia admires her strengths, her ability to narrate a story that may be hard to read, yet completely envelops you in the story, and the way she can make you feel about what she is writing. Maria Claudia's advice in general to all young women is to truly know what it is they like to do and go after it. Remember that the limits you have are set by you, so always try to reach further and knock down those limits you create. Always go above and beyond to support your team, and remember - the satisfaction of the work you do and the support you give is bigger and better than that the tasks you've just completed. Maria Claudia would love to be Frida Kahlo for a day. She was a strong, independent and creative person who had an amazing character. She had great conviction, and once she put her mind to something she found a way to do it no matter what her physical limitations were. She became a leader in everything she did and that is something Maria Claudia admires greatly. Not a city, but Africa is definitely on Maria Claudia's bucket list. She is a huge animal lover and Africa is an amazing destination to see animals in their natural habitats. Sharing an experience like this with animals is always something that has interested Maria Claudia because it brings you closer to something so natural and beautiful.